1. THEY ARE MAKING A SEQUEL TO BOY MEETS WORLD. Yes, I know. This is the best news of 2012. Or maybe of the whole decade. What’s it called, you wonder? BMW II: The Rise of the Feeny? 2. Even better. It’s titled Girl Meets World. Fantastic, right? Why that title? 3. It’s about the daughter of Cory Matthews (Ben Savage) and Topanga Lawrence (Danielle Fishel). OK, so they dropped some clues in the last season that maybe Topanga was potentially pregnant. But here’s the thing: It’s not that cut-and-dry. 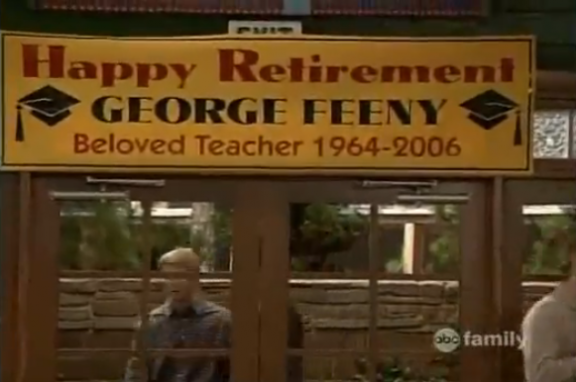 According to another episode from that season — the previous episode, in fact (Season 7, Episode 16: “Seven the Hard Way (Part 2)”) — there is a flash-forward to Feeny’s retirement party. At this retirement party, a completely new set of contradictory baby clues is unleashed. So this baby, little Beverly Glen Lawrence-Matthews, is but a few months old at the time of the flash-forward. But how far in the future did this take place? The year 2006, which would make it six years in the future, because the final season of Boy Meets World was in 2000, which means Topanga wasn’t pregnant that first time, but simply getting a little chubby, WHICH MEANS THAT RIGHT NOW LITTLE BEVERLY GLEN LAWRENCE-MATTHEWS IS 6 YEARS OLD. That’s right. The heiress to the hot Topanga throne has been living among us for six years. 4. 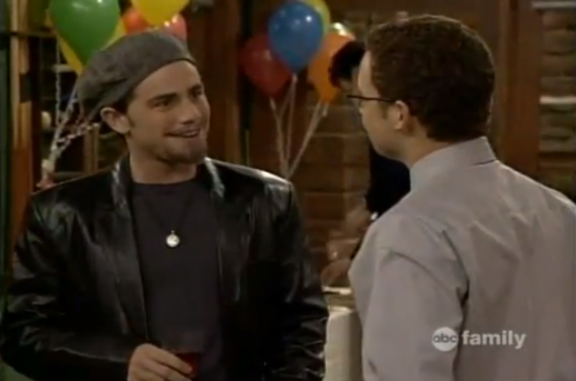 TVLine reports that Girl Meets World would center around the couple’s preteen daughter. Six years old isn’t exactly preteen. You know what is? Twelve, WHICH WOULD MEAN THAT THE FLASH-FORWARD WAS WRONG AND TOPANGA WASN’T GETTING A LITTLE CHUBBY SIMPLY ON WAFFLES COVERED IN BUTTER, BUT IN ACTUALITY WAS PREGNANT, WHICH IS SUPER UNFORTUNATE FOR CORY BECAUSE HE STILL HAS THAT PAPER DUE ON FRIDAY. 5. The Hollywood Reporter has confirmed that casting for Girl Meets World is under way, spearheaded by Boy Meets World executive producer Michael Jacobs. While the roles are presumably meant for Fishel and Savage, their presence in the sequel has not been confirmed at this time. I mean, what else could they be doing? Also, if they don’t sign on, I believe it’s grounds for treason, so I expect them to confirm their participation by week’s end. They’re probably just holding out because they don’t want to overshadow the election. Makes sense.